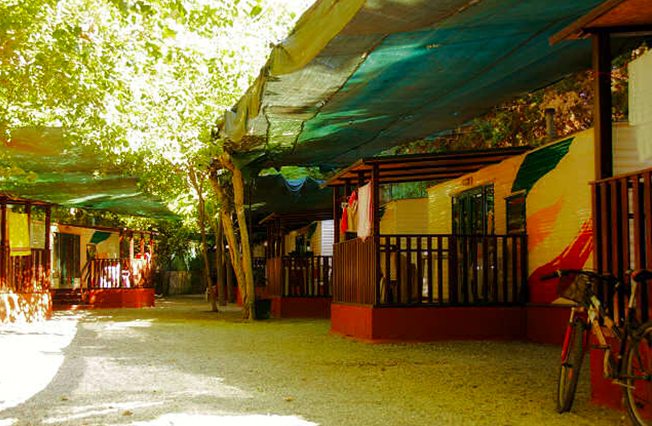 Camping Afrodite has 10 bungalows, completely shaded for the hottest season. 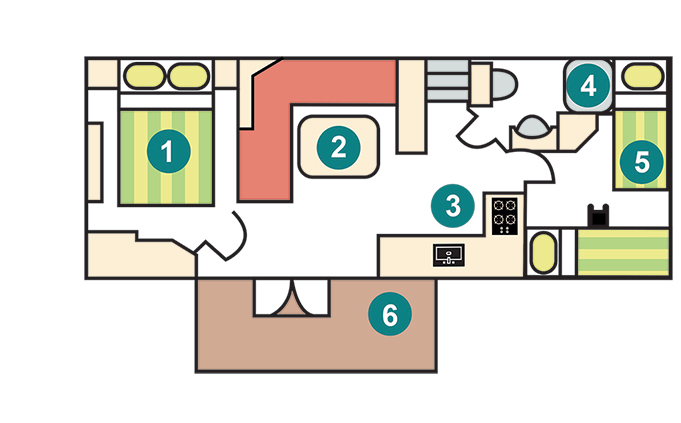 Every bungalow can accommodate up to 7 people. 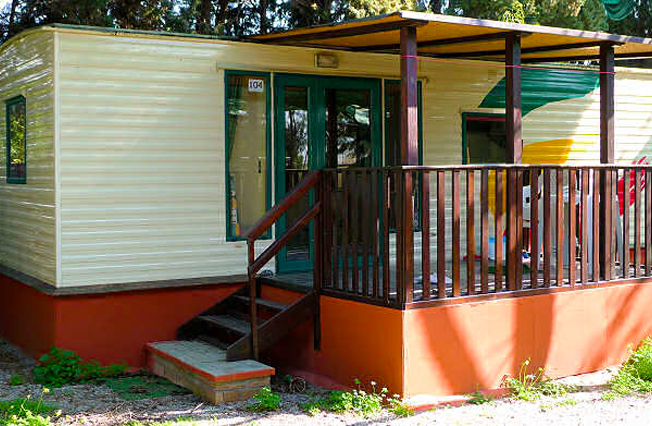 Bungalow: 8×3 meters. Veranda: 2,50 x 3,5o meters. Guests must bring only sheets and some blankets. Television is an optional (For fee). 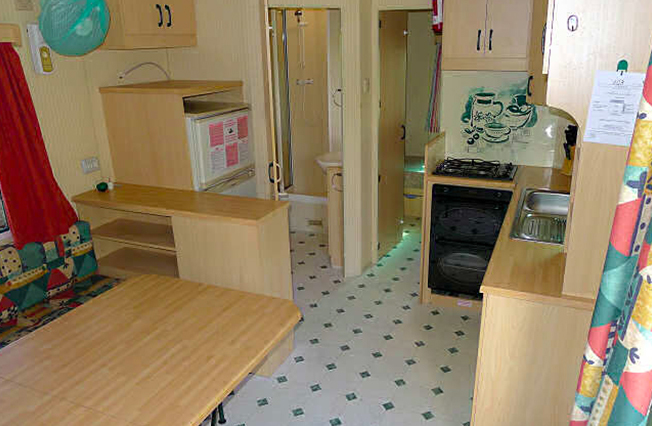 Each person over 5 units, pay 20 Euro per night. 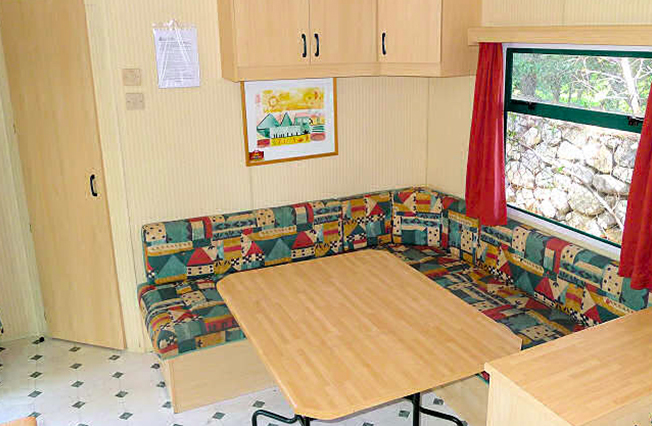 A discount of 5% will be applied to those who book by May 15th.